I finished binding Good Morning Starshine! I'm just waiting on an opportunity to get some decent pictures to post on friday. Other than that, I haven't actually done much in the studio. Not sewing anyway. While I was pulling for Christmas, I decided that I want to rearrange my stash. I keep some of my fave designers in with my regular stash, in an attempt to *not* hoard, but then I realized that I can never remember what I already have. So I'm going to keep the precious collections together, and then keep the regular stash builders together. And I'll change it again a year or so after that, I'm sure. I also (finally!) got moving on my swap project. I couldn't decide forever what to do for this. I hope it turns out ok! 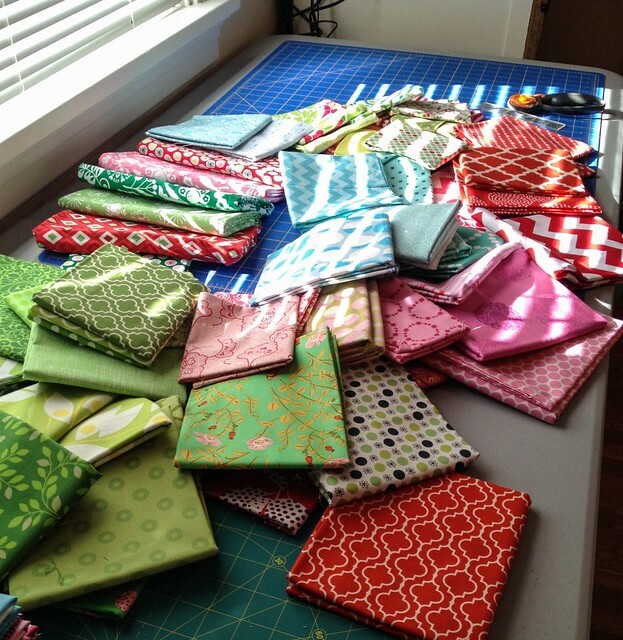 Love the fabrics you've pulled for the Christmas quilt! Can't wait to see what you decide to do. 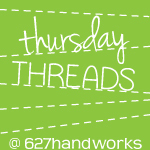 What beautiful fabrics you pulled, whatever quilt you decide will be beautiful. I keep certain collections of fabrics together also. 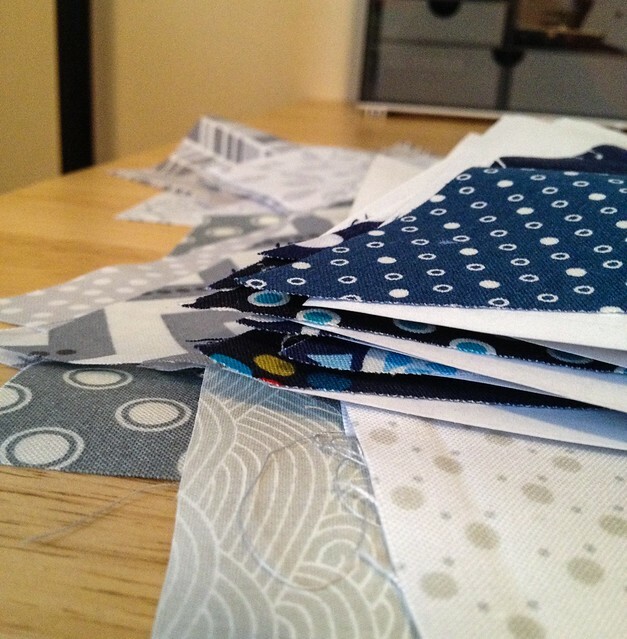 Sometimes I pull certain pieces and add other fabrics with to do a scrappy quilt with them. And I know all too well about hoarding said fabrics. Love the fabrics you've pulled! I'm sure they'll make a great quilt! I, too, love to just pull fabrics and make luscious combinations. It is a very fun part of quilting that is truly process, not product. 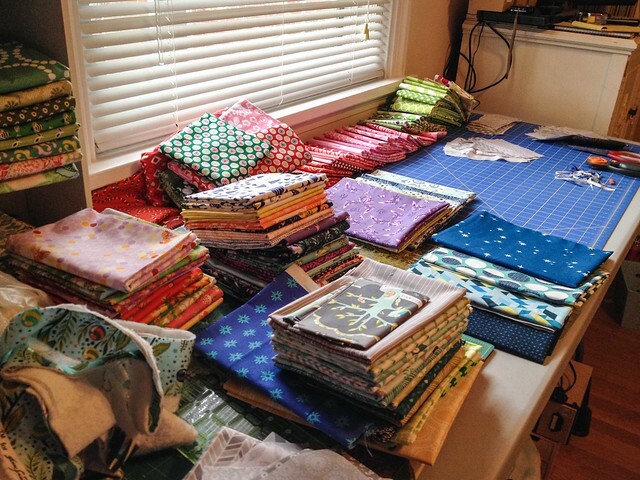 If I had to guess, I'd say I combine and fantasize about 3 or 4 quilts (hmmm...maybe more) for every one I actually make. Yes! 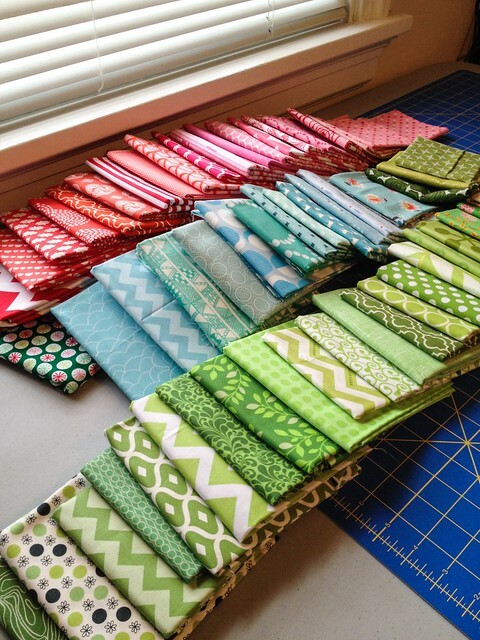 I have some stacks that I've set aside for quilts that might never actually happen... I tend to sew by the seat of my pants, and I have things jump the queue all the time! I know, I'm trying too. I try to keep in mind that I will still HAVE the fabric, it will just be on the bed, or the couch, instead of on a shelf! 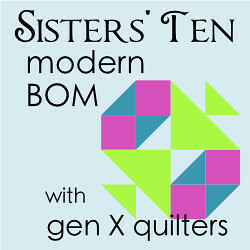 must check out the quilts you are considering. It is good to get our stash out sometimes and just drool over what we have! !